There has been a series of storms in the Central Valley in early winter 2019 that have stimulated the migration of salmon fry and smolts in the lower Sacramento River toward the Bay-Delta (Figure 1). 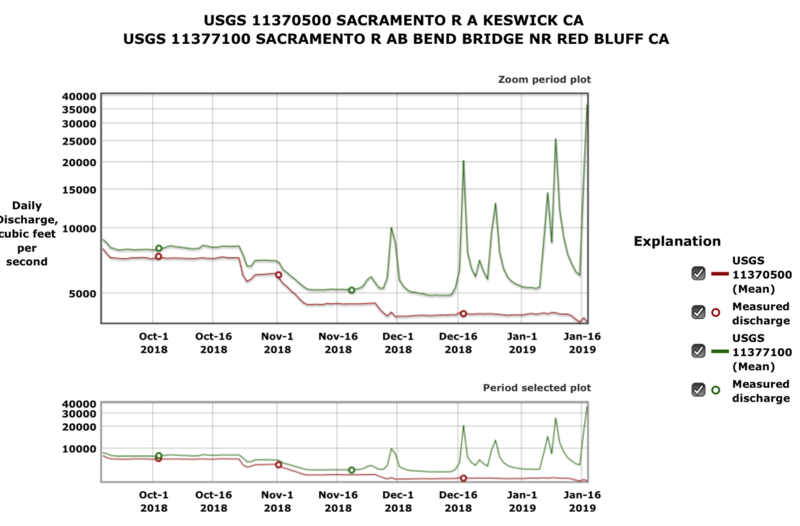 However, these storms have not created flow pulses in the 25 miles of prime spawning habitat in the Sacramento River directly downstream of Keswick Dam (River Mile 300) (Figures 2 and 3). High flows at Bend Bridge (RM 250) have originated from largely un-dammed Cow, Cottonwood, and Battle creeks. 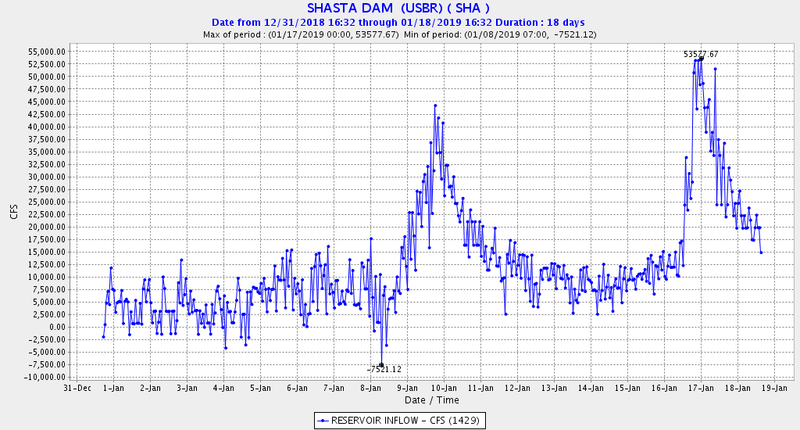 Although inflow to Shasta and Keswick reservoirs has exceeded 50,000 cfs during two recent storm events (Figure 4), these reservoirs are releasing only a few thousand cfs. 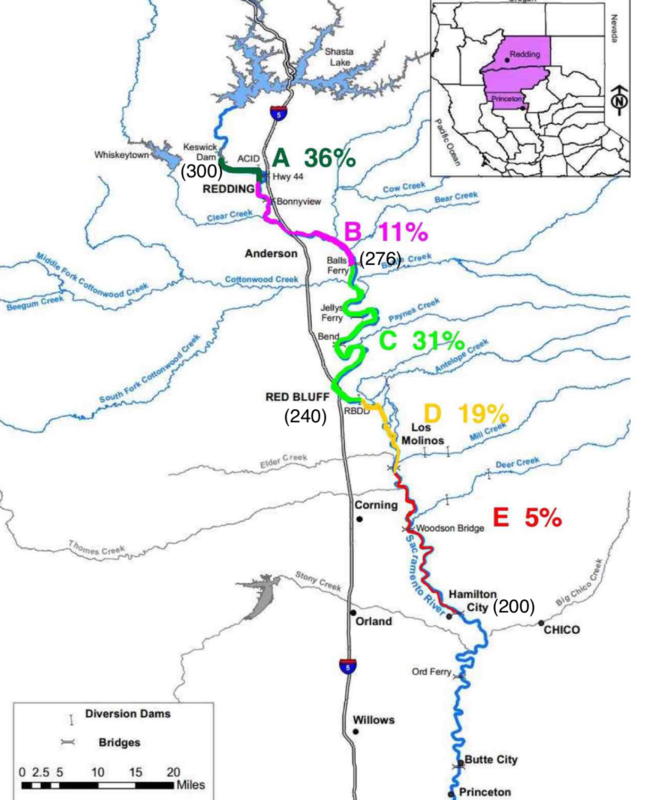 Based on the Red Bluff screw trap catch (top chart in Figure 1), there are likely many wild fry in the upper river directly downstream of Keswick Dam that could take advantage of flow pulses to start their 300–mile journey toward the San Francisco Bay-Delta and its optimal fry rearing habitat. 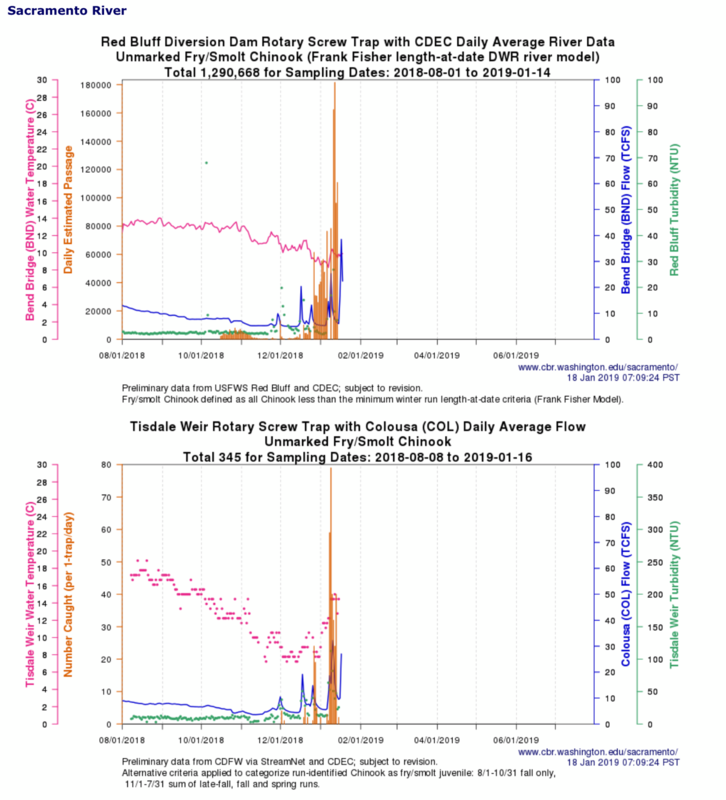 Flow pulses of 3000-5000 cfs during storm events added to the existing Keswick release could go a long way toward increasing the production of wild fall-run Chinook salmon. Figure 1. Screw trap collections of fry fall-run salmon at Red Bluff (RM 240) and Tisdale Weir (RM 120) August 2018 to mid-January 2019. Figure 2. Sacramento River flow at Keswick Dam (RM 300) (red line) and Bend Bridge (RM 250) (green line) 10/1/18-1/16/19. Figure 4. Inflow to Shasta Reservoir in January 2019.